Thursday Night Rides return this summer! Our popular social ride series returns this year with a mix of old favourites and brand new routes. Starting in East York, we’ll take a leisurely bike ride before returning to our neighbourhood for dessert and socializing. Each 90-minute ride will be on both streets and mixed-use paths. Routes may include riding (or walking!) up some hills, but we’ll try to keep the huffing and puffing to a minimum. The East York History Bike Ride on June 20 starts at Playter Gardens on Danforth, one block west of Broadview. All other rides start at the East York Community Centre. For all rides, gather at the starting point at 6:15 p.m. 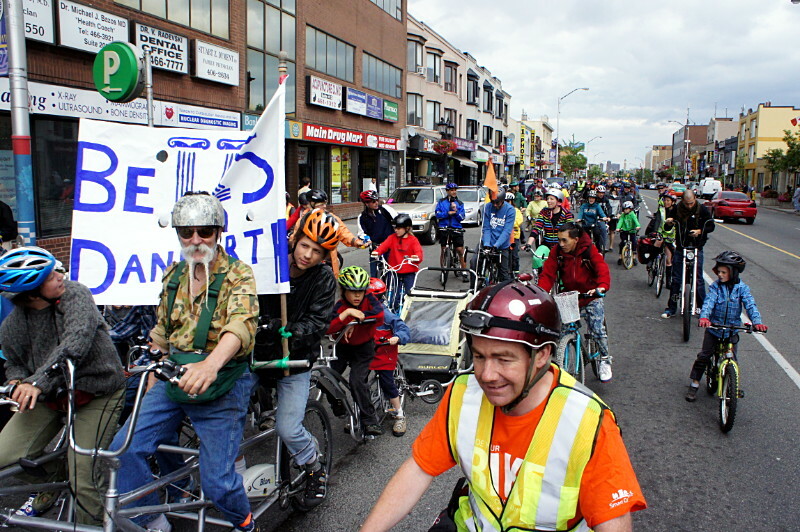 The rides leave at 6:30 p.m.
Thursday, May 30: The Don Valley to Edwards Gardens. Thursday, June 6: Taylor Creek Park and Warden Woods. Thursday, June 13: The Beach and the Port Lands. Thursday, June 20: The East York History Bike Ride. NOTE: This ride starts at Playter Gardens, on the north side of Danforth one block west of Broadview (at the beginning of the Bloor Viaduct). Thursday, June 27: Mount Pleasant Cemetery and Rosedale. Thursday, July 4: Riverdale and Cabbagetown. All rides will proceed rain or shine but will be cancelled if thunderstorms are likely. Routes and destinations may change; more information about that week’s destination will be posted a couple of days before each ride. Always check our website for the latest updates. Contact us if you’d like more information.